Compete to brew the best potions and become top of the class! It's senior year at the Horribilorum Sorcery Academy for Witty Witches and Wizards. All the hard work and studying comes down to this: the final exams! 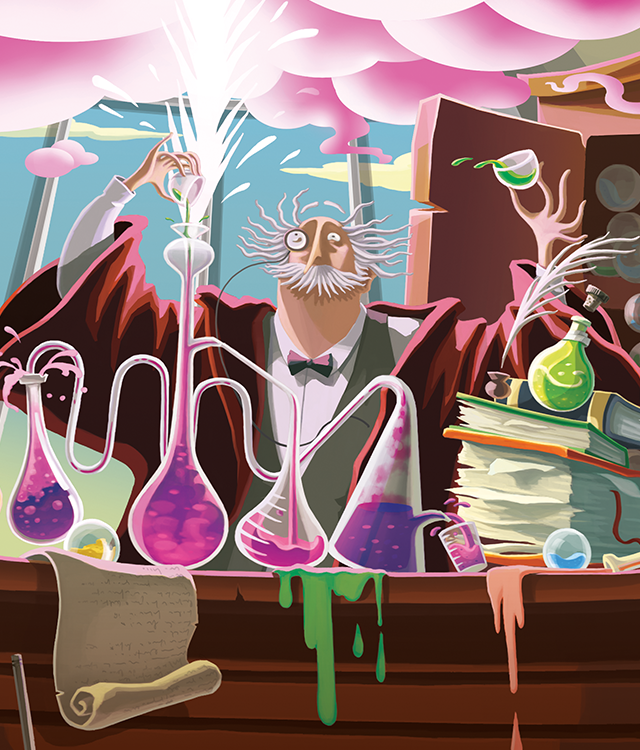 Under the helpful, tutelage of the Headmaster, players have learned how to handle volatile ingredients and turn them into fantastical potions! But only one will become the head of the class!